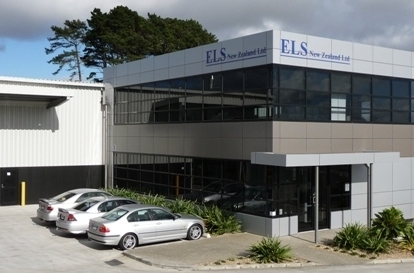 Having been part of the Electrolux Group until 2000, ELS has always carried the Electrolux brand, renowned worldwide for creating the best, most reliable and efficient commercial laundry equipment. In later years, ELS has complemented its service range to include solutions ranging from niche professional use to large-scale industrial work. ELS customers span a broad range of industries, including hospitality, laundromats, healthcare and manufacturing, as well as public and private industry. Success in any laundry starts with identifying the requirements and meeting them in the most efficient way possible. The "Mini Guide to Good Laundry Practice" provides a comprehensive overview of laundry procedures. ELS staff have years of laundry design experience behind them, so are able to advise on specifics for your laundry. Ensuring that your investment in your laundry equipment is maintained is paramount to your business and so it's important to us too. At ELS we have a comprehensive parts department and can supply spare parts for every machine we sell. Providing unmatched after sales service backed up by New Zealand’s largest warehouse of commercial laundry spare parts. Our success at ELS is defined by seeing our customers being more profitable, with the most efficient and reliable laundry equipment. We achieve this by operating with a no-frills flat structure, centered on key account managers who understand laundry, recognise that each solution is different, and are committed to providing a complete lifecycle service.